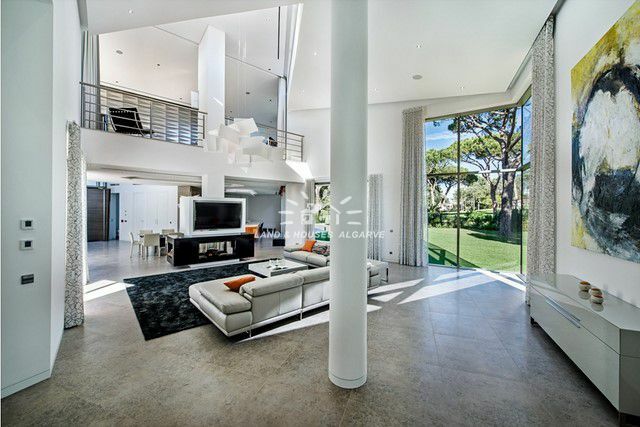 The finest in modern architecture, this incomparable luxury 6 bedroom villa is located in one of the most sought after areas in the resort of Quinta do Lago. A architect passion can be felt throughout this unique villa with shades of natural light filtering through the covered terraces and through the villa. 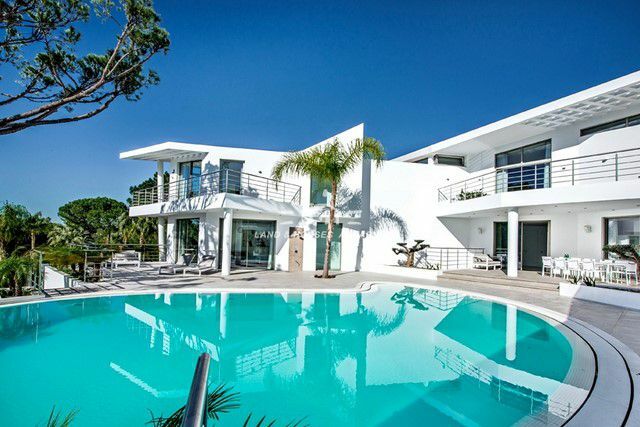 From morning to evening this villa is absorbent with the sun, colorful landscaped gardens and fine views. 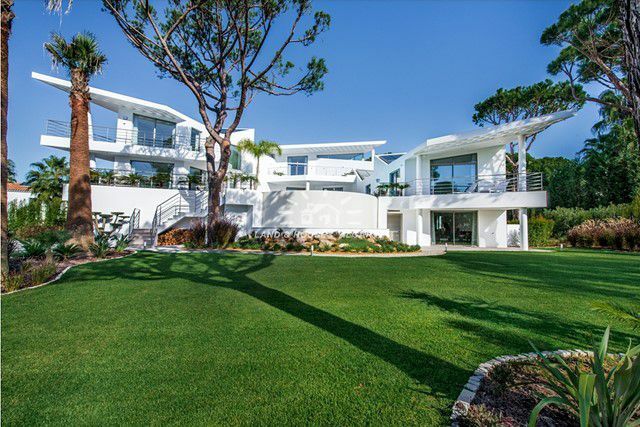 A driveway up to the main entrance welcomes you to this residence. 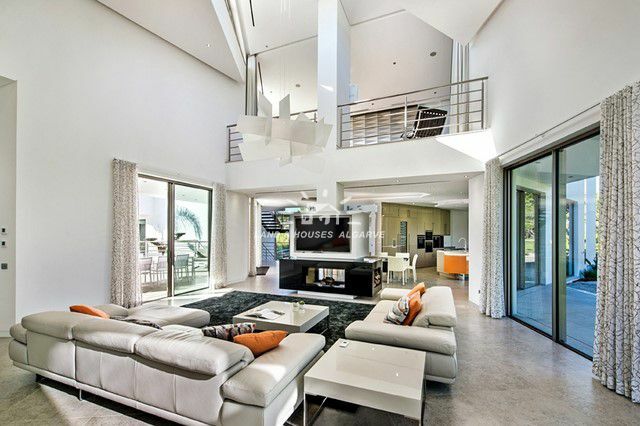 Entrance hallway welcomes you into a open plan living area and dining area divided by a large fireplace. Views out towards the golf course, swimming pool and gardens. 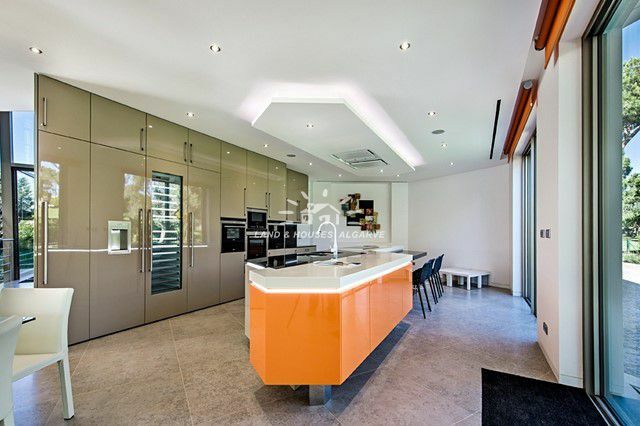 A top quality designed fitted and fully equipped kitchen encompasses this open plan area. Private en suite guests bedroom are located on the same floor and all have en suite bathrooms. First floor hosts the grand master suite with views out to the fairway and with a balcony effect looking over the lounge area. A family room and further bedroom can be found on this level with good sized external terraces and great views. The basement has been created for a superb entertaining area with a games area, fitted spa and home cinema with bar and a totally independent one bedroom apartment with small kitchenette. Fabulous external entertaining area with infinity swimming pool. A unique design incorporating latest style , technology and first class quality in construction.